For many years, the face of hansgrohe has been shaped by the Phoenix Design team: Andreas Haug, Tom Schönherr, Manfred Dorn and Harald Lutz. They measure the success of their work by the people at whom their products are aimed. Although the creative minds prefer to work in the background, they are thrilled with the many awards that their design workshop has won. A stylish bathroom collection that takes us back to the early 20th century, capturing the Zeitgeist of the Belle Epoque and its romantic spas. 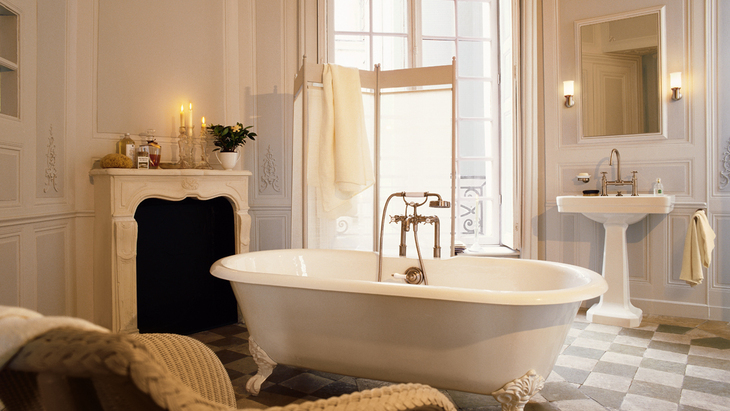 Axor Montreux is both a homage to the sophisticated spa resort on Lake Geneva and a modern collection. Whether in a traditional or modern environment, the authentic design of this collection always provides an authentically styled bathroom. Thanks to expertise of the Hansgrohe Group, an abundance of contemporary comfort is also guaranteed. They design products that spontaneously excite while also functioning perfectly and being environmentally friendly. Phoenix Design perform the balancing act between functionality and “magic”, as the two creative minds would say, for major brands from the fields of living, consumer electronics, telecommunications, building services and bathrooms. The Phoenix Design team (which currently comprises two dozen employees) has developed more than ten series and over 300 products for the Hansgrohe Group. And they have created beacons of innovation in the process.